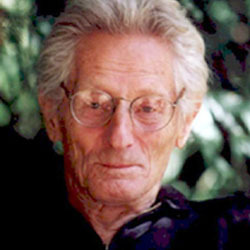 Dr. John C. Lilly died on 2001-09-30, in Los Angeles, of heart failure. 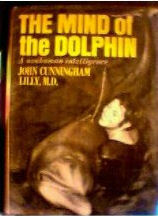 Dr. Lilly was best known for his work with dolphins and interspecies communication, his development of the isolation tank and his research into altered states of consciousness. 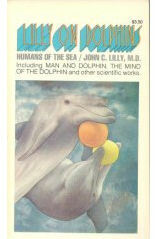 The main characters in two popular films, The Day of the Dolphin and Altered States, were based on Dr. Lilly. Born January 6, l915, in Saint Paul, Minnesota to Rachel and Richard Lilly, Lilly was educated at St. Paul Academy, California Institute of Technology, Dartmouth College Medical School and the University of Pennsylvania Medical School. During WWII (World War II), he conducted high altitude research at the Johnson Foundation for Medical Physics. After the war, he trained as a psychoanalyst. While a Commander in the U.S. Public Health Service, Lilly worked at the National Institutes of Health, where he developed the isolation tank, which came to be known as the Lilly tank. 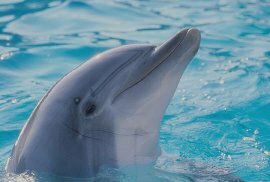 In l959, he established the Communication Research Institute in the U.S. Virgin Islands to study the vocalizations of Bottlenose dolphins. The work later continued in San Francisco under the Aegis of the JANUS Project. He also established the Human Dolphin Foundation and worked with Samadhi Tank company to help popularize the isolation tank experience. 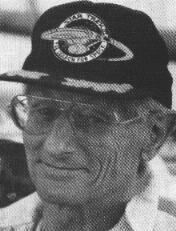 From the late sixties until he retired to Hawaii in l992, Dr. Lilly worked from his home lab in Malibu, California. He travelled extensively, teaching and lecturing at academic institutions, international conferences and growth centers like Esalen, where he was a long-standing artist in residence. 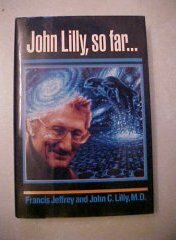 An unparalleled scientific visionary and explorer, Dr. Lilly has made significant contributions to psychology, brain research, computer theory, medicine, ethics and interspecies communication. His concepts, inventions, publications and articulated explorations have dramatically enhanced the quality of contemporary global culture. His work with dolphins and whales created a global awareness that lead to the enactment of the Marine Mammal Protection Act in 1972. 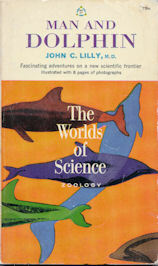 Today, Dr. Lilly is considered the father of dolphin researchers. In the 1940s, Dr. Lilly invented new types of capacitance manometers to aid in researches of human metabolism and invented gas concentration and flow meters to study respiration, gas mixing and pressure and altitude. In the ’40s and ’50s, Dr. Lilly was on the cutting edge of Neuroscience. He was the first to map the brain of chimpanzees, in the process inventing the Lilly Wave: an electrical pulse that could be used to stimulate the chimp’s brain without any damage. He also developed the twenty-five channel EEG (Electroencephalogram) moving relief maps of the electrical activity in the brain and dynamic iconic displays for researching pulse shapes and electrodes. His brain mapping with acoustic, motor and traveling waves predated today’s state of the art by fifty years. His research in electronic brain stimulation, dreams, schizophrenia and the neurophysiology of motivation — involving the identification of punishment and reward systems — were published in a number of psychiatric journals. In conducting his brain research, Dr. Lilly developed an interest in large brain systems. This led him to work with dolphin communication. In the process he invented various spectral analyzers and hydro-phones, I don’t think that is true. He used them. He did not invent them. and pioneered the use of minicomputers with real time programming and original software. 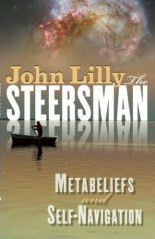 Dr. Lilly’s last physician remarked with awe that John Lilly is the only person he knows of whose least accomplishment was becoming a Medical Doctor. He has sown the seeds of several future scientific revolutions. 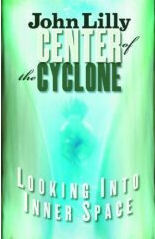 Dr. Lilly leaves us with the possibility of a theory of internal realities. 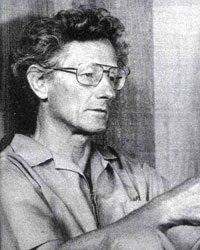 He developed the hardware/software model of the human brain/mind decades before the computer became a popular metaphor for the human brain. 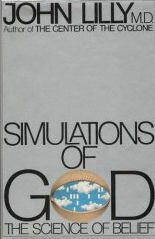 He worked towards a recognition of possibilities for solid state intelligence and planetary consciousness. He explored and theorized about the potential importance of Einstein, Podalski, Rosen, (PDR) and Bell’s Theorem in quantum computers and teleportation. 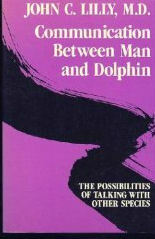 He initiated worldwide efforts at interspecies communications with large-brained dolphins, advocating United Nations protection and representation for the Cetacean Nation. Devoted to a philosophical quest for the nature of reality and mind, Dr. Lilly pursued a brilliant academic career among the scientific leaders of the day. He has lived in the company of associates and intimates including Nobel physicists Richard Feynman and Robert Milliken, philosophers Buckminster Fuller, Aldous Huxley and Alan Watts, psychotherapy pioneers R.D. 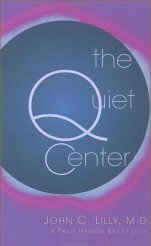 Laing, Fritz Perls and Oscar Janiger, eclectic spiritual and psychological interpreters Oscar Ichazo, Baba Ram Dass, Timothy Leary, Robert Anton Wilson and a host of luminaries, inventors, political figures, writers and Hollywood celebrities. 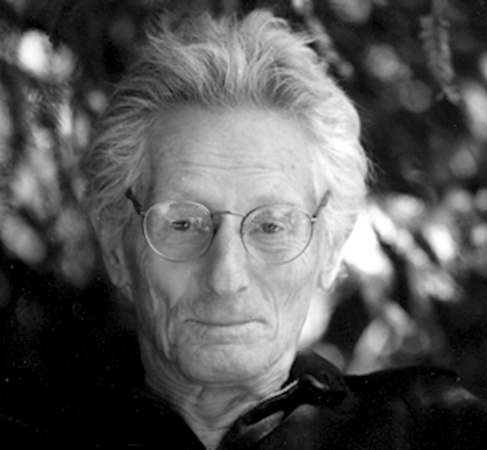 One of the twentieth century’s foremost scientific pioneers John Lilly has been a relentless adventurer whose persona as student of the unexpected has resulted in astonishing insights into what it means to be a human being in an ever more mysterious universe. He is survived by his first wife, Mary Lilly, of Haiku, Hawaii; a brother, David Lilly, of St. Paul, Minn.; two sons, John Jr., of Zacatecas, Mexico and Charles of Haiku, HI; a daughter Cynthia Cantwell of Paradise, Calif.; and adopted children, Pamela Christine, daughter of his second wife, Elisabeth C. (Bjerg) MacRobbie; Nina Carnesi, daughter of his third wife, Antoinetta Lilly. (Ficarotta) Oshman; Lisa Lilly of Malibu, CA; Barbara Clarke-Lilly of Kihei, HI and Philip H. Bailey of Kula, HI. 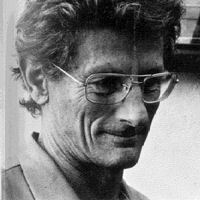 John C. Lilly Memorial Celebration will be taking place Friday, October 5, at Will Geer’s Theatricum Botanicum, 1419 North Topanga Canyon Blvd., Topanga, CA (California) 90290 2:30pm arrival. Memorial in Amphitheater followed by reception in the surrounding garden. Seating for 300 only — leaving the grounds at 6pm. There were so many adventures packed into those weeks, including making Werner Erhard, of EST (Erhard Seminar Training) take off all his clothes and meeting one of the people who built the Gossamer Condor. I was always in awe of John, but I still called him by his first name. I thought of Toni as a second mother even though we only spent a total of about five weeks together. Toni was so supportive and loving. She made all John’s people decisions for him and kept him grounded. I could hardly imagine John being able to carry on after she died. However, I was happy to learn that after her death, John was surrounded in Hawaii by good people. He encouraged musicians and creative sympathetic types to visit. Toni’s sage advice to me was, When you are feeling totally spaced out during a conversation with someone, just nod in agreement now and then. They will never know. I once asked John if he was enlightened. He asked what my definition was. I said free of addictions in the Ken Keyes sense, no attachments. 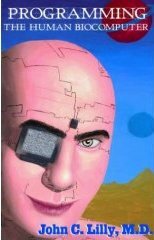 He grinned and said that he had been given a set of LEDs (Light-Emitting Diodes) that flashed to wear on his head saying I’m enlightened. John had a big impact on me. I constructed a floatation tank. I did an HIV drug fast almost to the point of death to protest the Makah whale sacrifices. I got arrested. I have told hundreds of people about my experiences with Joe and Rose, the two adolescent dolphins who worked with us on Project Janus at Marineworld in Redwood City. I still cherish a faded Human Dolphin Foundation T-shirt John gave me. I never saw either of them again after 1979. I am awaiting something spectacular in the way of a ceremony from the cetacean community when they hear the news. He was their main ally in the human species. I experienced one miracle just after he died, but before I learned of his death. I went to my computer and someone had brought up an essay on cetacean intelligence I had written some years ago, using the Opera browser which I had stopped using about a month ago which I had updated about a week earlier. I know of no one but me who has access to my apartment. At the time, I assumed it was hackers trying to mess with my head, but perhaps it was ECCO (Earth Coincidence Control Office) at work again. I call God ECCO. It’s much more satisfying to call it that. A lot of people accept this and they don’t know that they’re just talking about God. I finally found a God that was big enough. As the astronomer said to the Minister, My God’s astronomical. The Minister said, How can you relate to something so big? The astronomer said, Well, that isn’t the problem, your God’s too small! Man and Dolphin 1961. Library of Congress Catalog Number 61-9528. No ISBN (International Standard Book Number). written 1967. Also available in paperback without an ISBN with a checkerboard cover. Each one of us is far more advanced, far more consciously aware, far more intelligent than we conceive of our Selves as being. Probably some repackaging of works written much ealier.